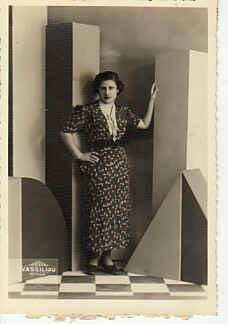 Above: My mother, Maria Emmanouil. Above Middle: My father, Haralambos, during his National Service. 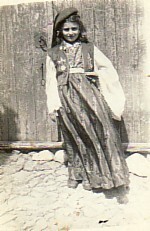 Above Right: Dressed in traditional costume. 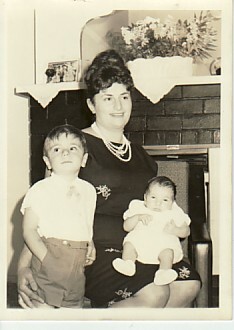 Above: With my brother, Ioannis (right) and little Kostaki. 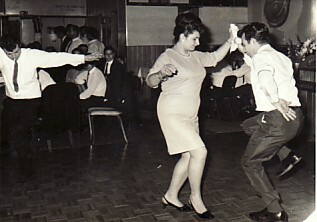 Above Middle: Dancing with family and horiani. 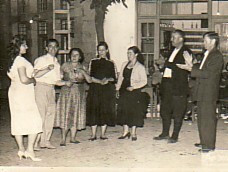 L-R: Evanthia, Panagiotis Sarikas, my mother, Kalama, my godmother, Evridiki Dimosthenou, Katina Dasou, Konstantinos Dimosthenos and my father, Haralambos Kalama. 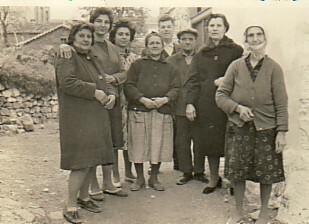 Above Right: My mother, Maria (first from the left), with horiani Katina Raptelli, Pandora Mihailarou, Georgios Soulellis, Ioannis and Ralou Mihailarou, Chrysa Soulelli and Eleni Malolaki. Above: Dancing with my husband, Pericles, at a Greek social dance. 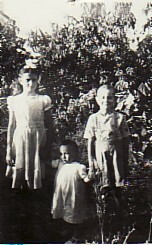 Above Right: With my sons, Nikolaos and Haralambos.